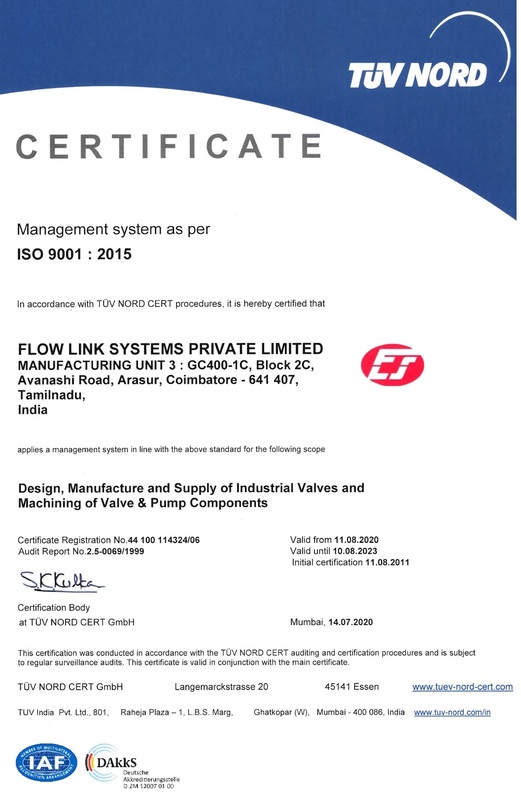 ISO 9001:2015 Certified by TUV NORD - Germany. 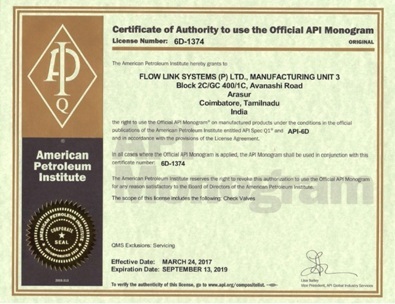 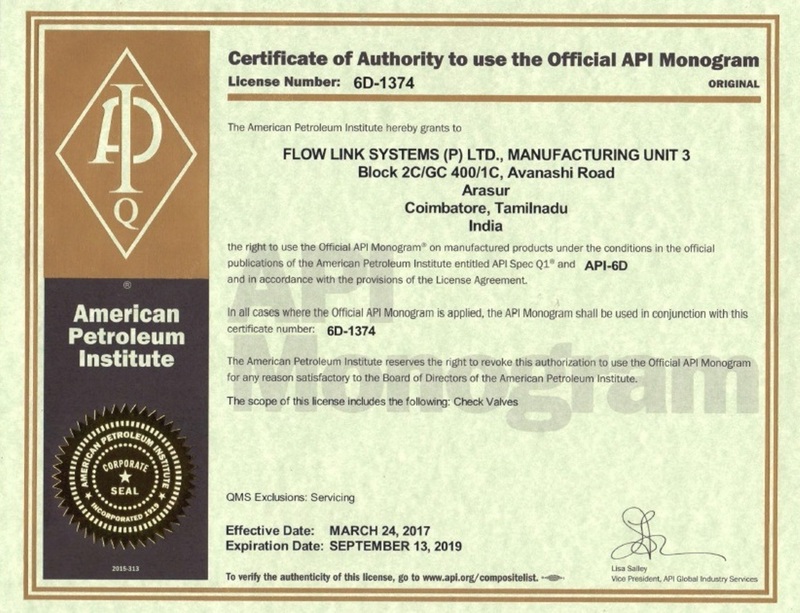 API 6D certification by American Petroleum Institute (API). 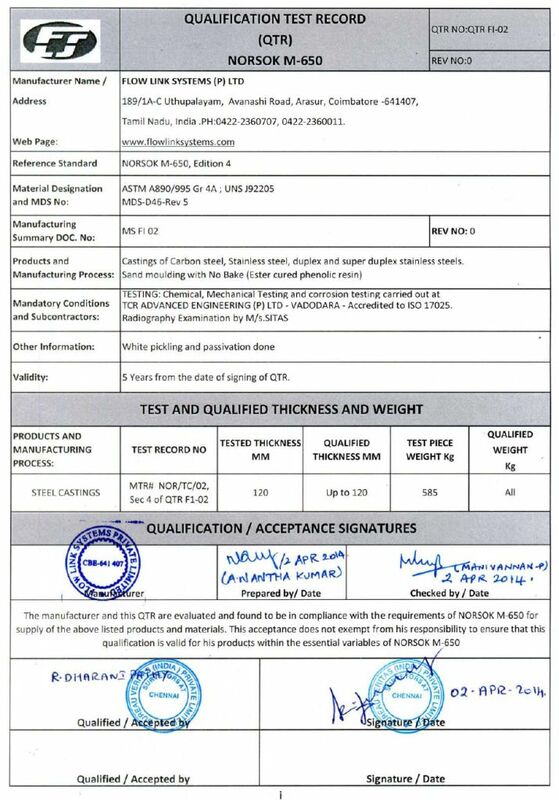 AD 2000-MERKBLATT W 0 By TUV NORD - Germany. 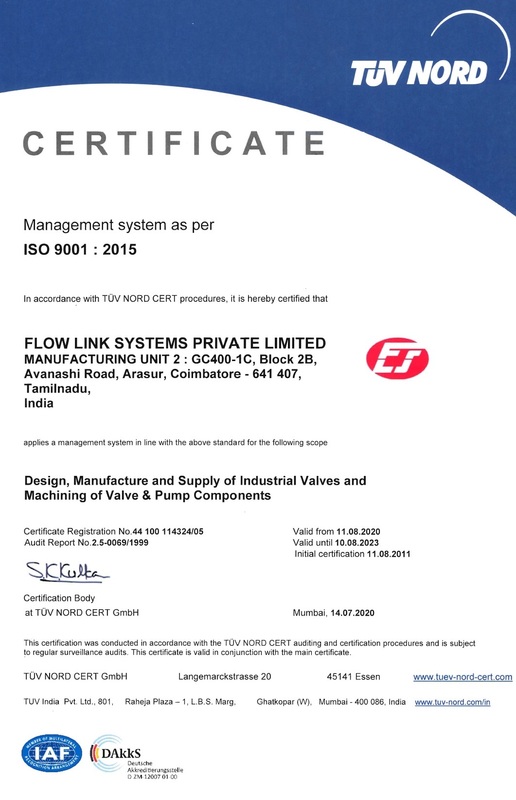 Pressure Equipment Directive (PED) by TUV NORD - Germany. 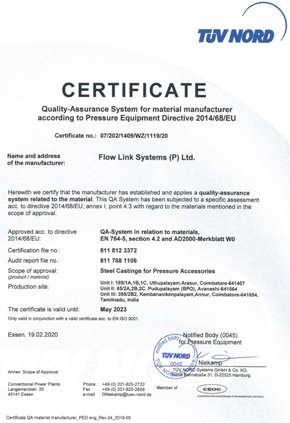 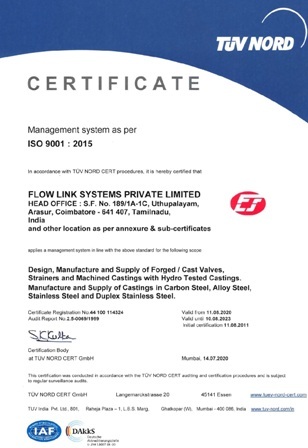 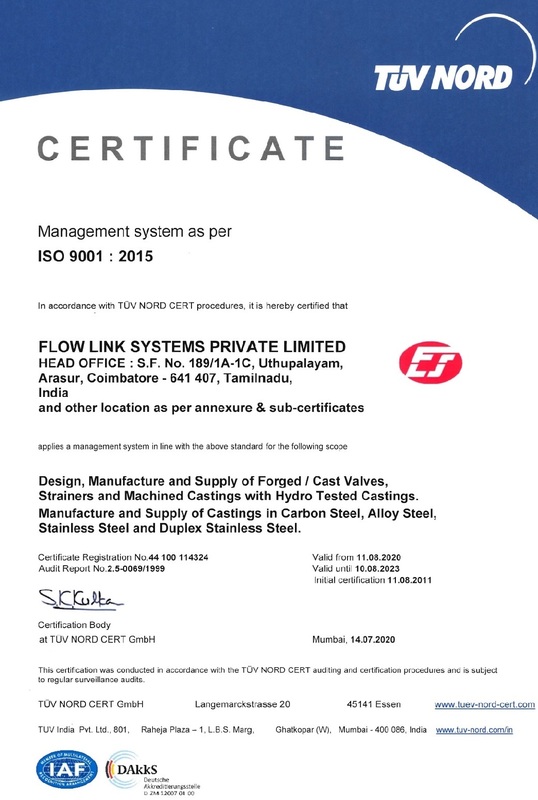 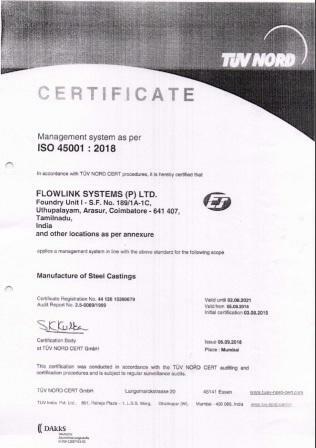 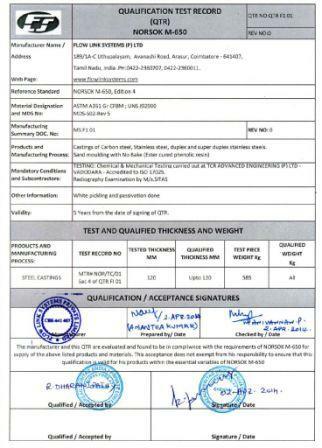 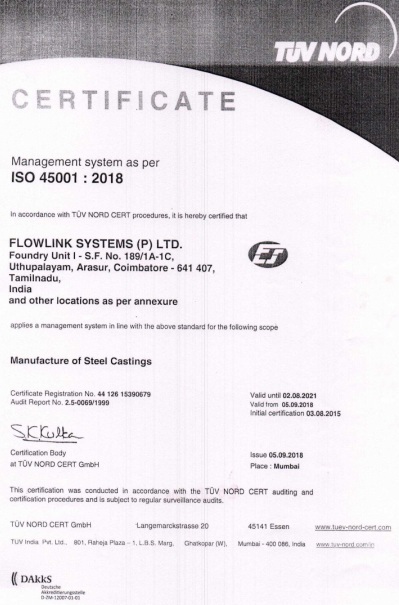 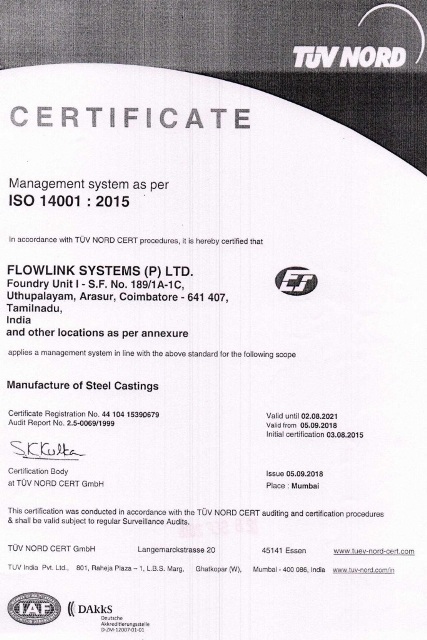 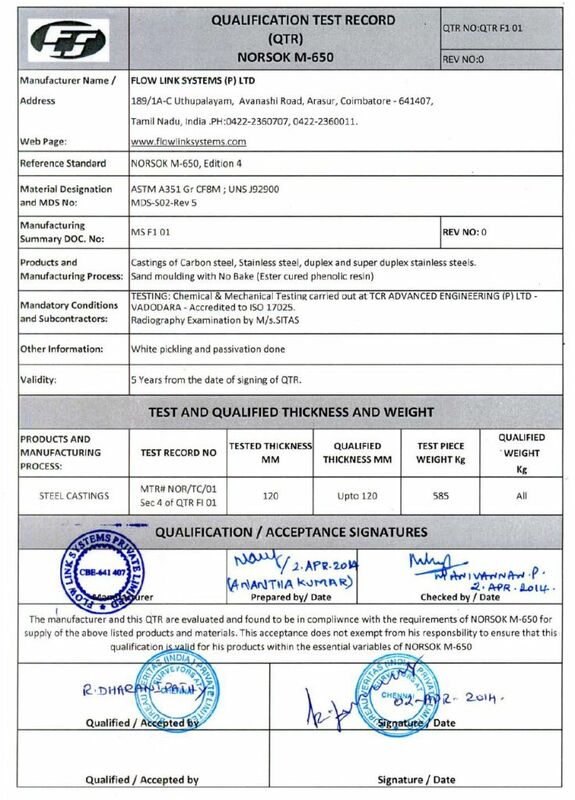 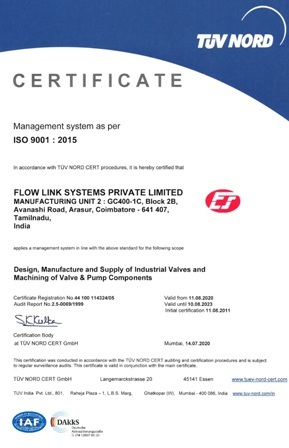 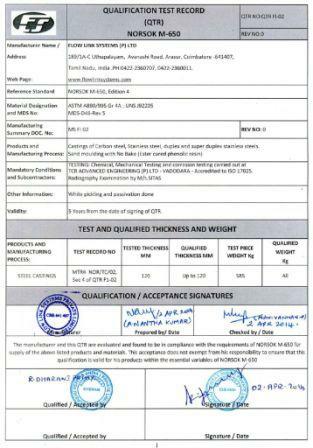 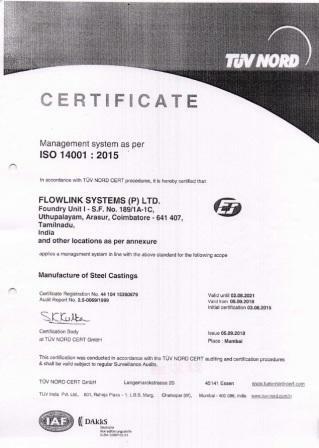 CE marking approval certification by TUV - UK Ltd.
Foundry certification for Valve Castings by Indian Boiler Regulation Board (IBR).